No matter what religion, fate or belief you have, just listen!!! A few years ago I was introduced to an intriguing book that somehow instantly caught my attention. It wasn’t long before I was going through one page after another. I just couldn’t put it down. I had to see what all the fuss was about. While reading it, I found out about the troubles in the writer’s life. But somehow I knew, no matter what they were saying, what I was reading in his book was still closer to the truth than anything I had ever come across before. As I investigated more about Mehdi Zand, I read one quote which immediately intrigued me. He said that his book holds the keys to the hidden knowledge of the gods, the path to immortality. From what I know the Exordium is in a series of volumes, starting with The Emergence of the Gods. From the first page I felt I was taken on a journey like no other, from before the existence itself to the present day on earth. Every chapter you read makes you feel as excited as the previous chapter. The book claims that it is revealing the story of the ancient gods and their struggle for survival or as the author says their universal recognition. When you begin to see what Mehdi Zand has gone through in the last couple of years, maybe it is right to say that he has seen both the darkness and light within the nature of mankind. And despite all the obstacles put in front of him, it is clear that he has never lost focus of what he has always wanted to achieve. Even in the face of numerous death treats he has always strived towards his ultimate objective which is to be heard worldwide. After seeing and hearing what Mehdi Zand has to say in regard to the universe, creation and the system that rules the world, I have realised that life is not what it seems to be. What we general humans are dealing with goes beyond anything we could ever imagine. It seems something very serious and sinister is going on, which we have no idea about. Something is controlling everything in our lives and that is shocking if we really think about it. Since the time I have met Mehdi Zand I do not want to live the way I did. I’m not talking about any particular aspect of my life, but simply the way I look at my surroundings as my mind has now become aware. To find his philosophy is like finding the rarest diamond, and I am truly honoured and thankful, because I have managed to break free from ignorance. 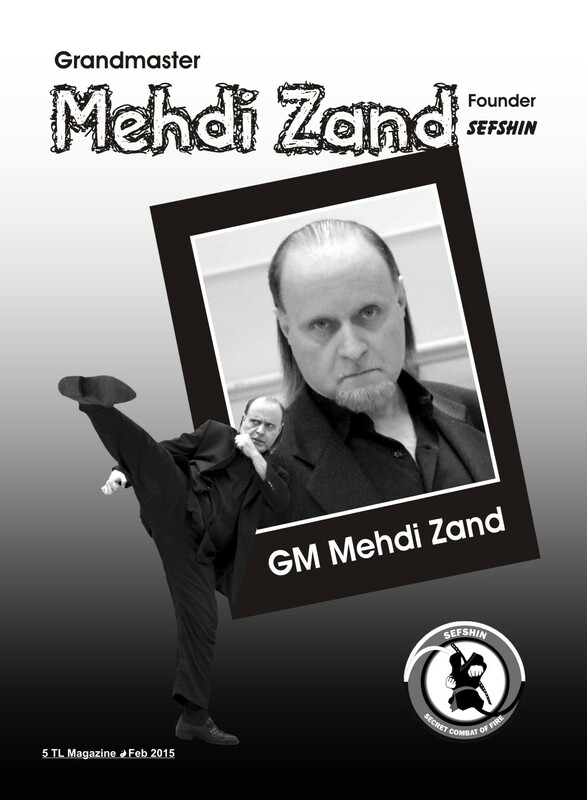 Regardless of all that has occurred in his life, Mehdi Zand’s determination, focus and talent has earned him the title, the Grandmaster of the year 2009 and martial arts hall of fame award 2010. Mehdi Zand has also been internationally recognised as one of the youngest 10th Dan martial artist in the world, and is often featured in many martial arts publication such as the international Martial arts times Magazine. In 2007 Mehdi Zand performed the art of sword. I was completely shocked to see him cut an object on the stomach of a volunteer while blindfolded. I know Japanese masters practice for their entire lives to reach the highest level in this art but only a few could even dream of doing it BLINDFOLED. Impossible you would say, I thought the same before I saw it with my own two eyes.